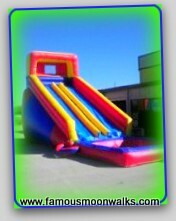 20 Foot tall double lane Speed Racer with big pool water slide and a snow cone maker. 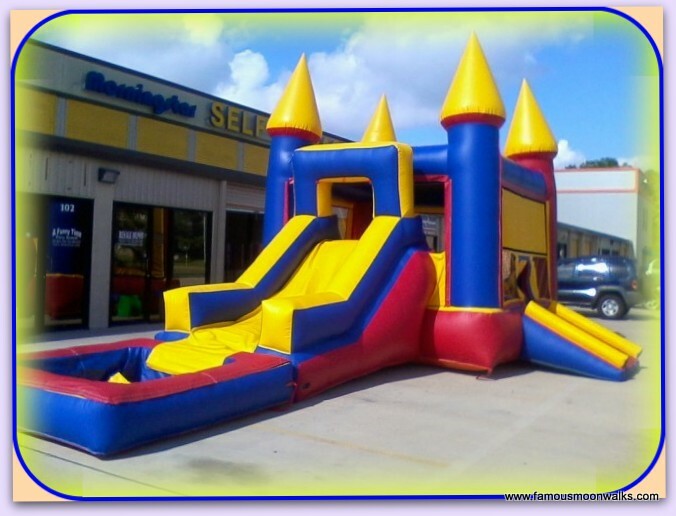 15X15 Bounce house, theme of choice, 6 to 8 hours rental. 15x15 Bounce house, theme of choice, 2 tables and 12 chairs. 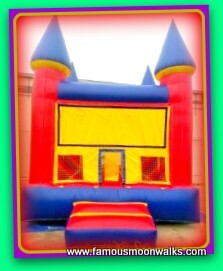 15X15 Bounce house, theme of choice, 2 tables, 12 chairs and a 10x10 canopy. 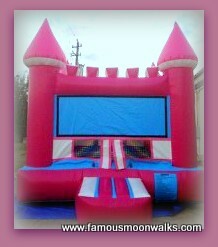 15X15 Bounce castle, theme of choice and a snow cone m.
Bouncy house, basketball hoop, wet slide and pool. Bounce house, dry slide, basketball hoop and theme of choice. 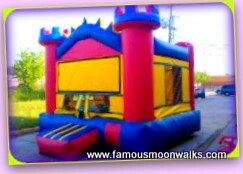 15X15 Bounce castle, theme of choice and a popcorn m.
Famous Moonwalks Rentals Houston and water slide Rentals is a family owned business servicing the greater Houston area and surrounding cities. 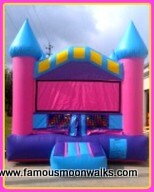 We specialize, in Moonwalk rentals in Houston as well as water slide rentals. We also have Canopies rentals and tents for rent. For your children we have popcorn, snow cone and cotton candy machines. 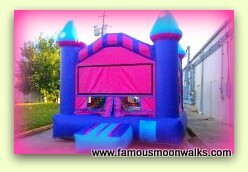 Our equipment is clean & ready to use, Famous Moonwalks Rentals Houston services, All Houston areas, Tomball, Fulshear, Katy, Cypress, Spring, missouri city, The Woodlands, Bellville, Richmond, Pearland, Fresno, Sugarland, and Rosenberg. We deliver, set up and pick up our equipment. We require a $50 non-refundable deposit to hold your reservation, the remaining balance will be due at set up. if you decide to cancel for any reason including rain, your deposit will be good for a year, the same rule applies for orders that have been paid in full. All Our equipment is cleaned and sanitized after every rental. We collect 8.25% sales tax but give you free delivery, set up & pick up. 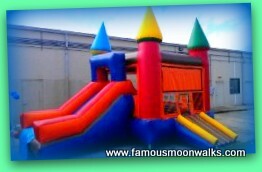 FOR MORE INFORMATION OR QUESTIONS ON OUR MOONWALK RENTALS OR WATER SLIDE RENTALS PLEASE E-MAIL US AT Famousmoonwalk@yahoo.com. WE WILL GET BACK TO YOU AS SOON AS POSSIBLE. YOU MAY ALSO CALL @832-497-6618. We accept cash, and most credit/debit cards PRICES ARE SUBJECT TO CHANGE WITHOUT NOTICE.